Belle, maison contemporaine située directement sur le lac Pontoosuc. la maison au bord du lac, complètement rénové et les pieds avec goût de l'eau. Swim, bateau, poisson et kayak sur le lac belle Pontoosuc. La maison peut accueillir 12 très confortable. Location de bateaux sont disponibles sur le lac. Vue exceptionnelle sont appréciés à partir de la salle de jeu et de soleil. Les attractions à proximité comprennent Tanglewood, Jacobs Pillow, Shakespeare sur la montagne et toute la culture des Berkshires a à offrir. Randonnée sur le mont Greylock ou flâner dans Balance Rock Park et Pittsfield National Forest. Les caractéristiques comprennent: un quai dans l'eau, des kayaks, 3 télévisions à écran plat, un système de jeu, une cuisine et des salles de bains flambant neuves, la climatisation centrale et un barbecue. When they said well stocked kitchen they were not kidding. The linens to the decor , couldn’t have been more happy. Scott-thank you so much for the lovely review! I'm glad the weekend worked out! Please do come again. Our family stayed at The Lake House for a long weekend in February 2019. It was just the best! The house is perfect-great size and warmly decorated and perfectly laid out! The house summary said everything you needed was provided - except for food and that was absolutely the case! The view of the lake - even in the winter - was fantastic! Would love to come back again! Maybe in warmer weather next time! Thank you Brigid! We cherish all our 5 star reviews! I have put my heart and soul into that house not knowing we would be renting it out. Now I'm just glad that others can enjoy it and appreciate it as much as I do! A perfect place to stay when skiing Jiminy Peak. Visited for a weekend of skiing with my two little kids, a friend of mine and his two kids. The property owner and house manager were both super responsive and helpful. The house itself is great — much nicer than a typical ski rental. The place is spotless and stocked with anything you could need. Plenty of places to relax, either looking at the lake or in front of a fireplace. One thing to be cognizant of: the two “adult” bedrooms are two floors above the kids’ rooms, which are in the basement — and still have lake views. If you’re going to have lots of little ones down there, it may be worth bringing a baby monitor. Perfect! Wouldn't change a thing. 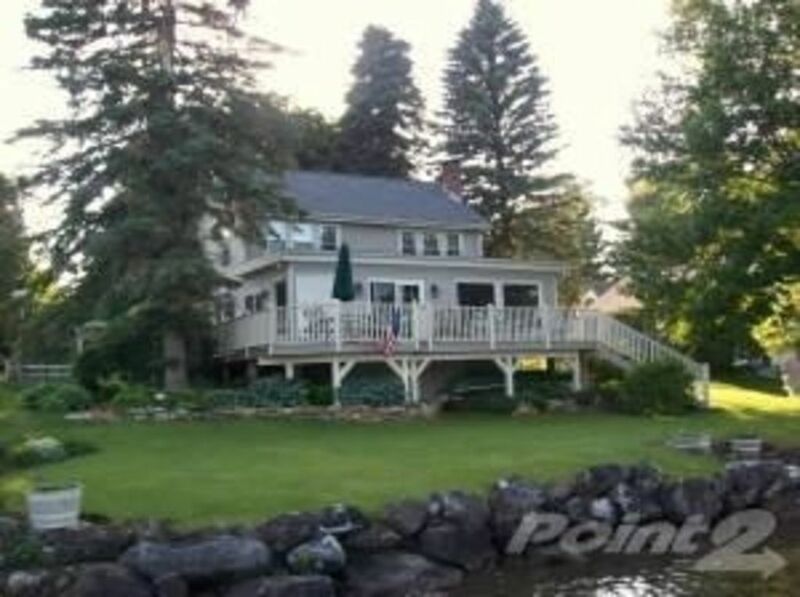 Beds are extremely comfortable, appliances like new, and the lake is gorgeous. Quite magical in the winter. Hoping to return in warmer weather to fish and swim in this beautiful lake! Oh Christopher, it's always a pleasure to host you and your sons! If the Pats aren't in the Superbowl next year will you still come back to fish? LOL! I look forward to having you as a guest again soon! Beautifully newly renovated home. Amazing views of lake. Spacious comfortable rooms. Stocked with games for kids. Close to local restaurants and only 15 minutes from jiminy peak. I am so happy you enjoyed our home. My husband just recently stocked up on new games. He's so glad your kids had fun with them! We'd be happy to welcome you back any time! Thanks for the use of your beautiful place! It was my pleasure, Thomas. Please come back any time you'd like!